Synonymous with newspaper publishing in Britain, London's Fleet Street has a long and illustrious history. Immortalised in the pages of Charles Dickens' novels, this road now houses some of the most prestigious real estate in the country. 65 Fleet Street is occupied by international company Freshfields Bruckhaus Deringer, one of the Magic Circle of elite British law firms. The 221,000 square feet of space has been Freshfields' headquarters since 1989 and provides a place of work to hundreds of staff. Over the 30 years of Freshfields' ownership, the Mechanical and Electrical equipment had reached the end of its life. With the reliability of the heating system failing, an upgrade was considered necessary particularly with winter approaching. Thanks to our track record of maintaining and upgrading prime properties, Sowga was recommended by international consultancy Hilson Moran to replace the entire heating system within the building and improve energy efficiency levels. 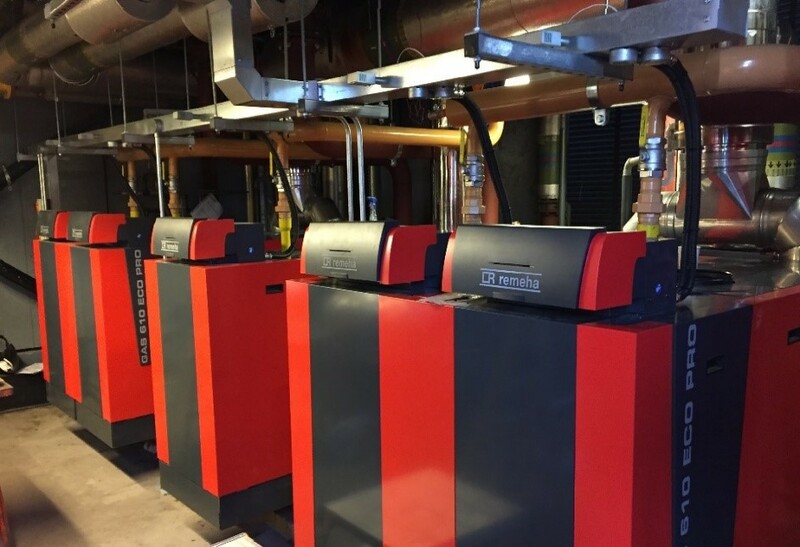 The project included the removal of the old boiler, installation of a new one, plus the refurbishment of the building's cooling towers for the continued comfort of the staff working inside. The challenge came from the need to maintain heating levels (and to continue cooling equipment) during business hours, with no shut down time. The delivery of new equipment and removal of obsolete hardware also had to be carefully co-ordinated to take place outside of office hours to minimise on-street traffic disruption. Access to the plantroom was an obstacle as it was located on the roof – so the boilers had to be dismantled in the basement and transported in stages before being rebuilt. The solution relied on careful planning via a phased programme of replacement.